Ballard Beer Awards Returns April 16 – May 11! Beer lovers rejoice! Ballard Beer Awards is back at Ray’s Café and it’s up to you to crown the victor in the battle of the best Ballard beers! But… in true Ballard fashion it’s more like a friendly neighborhood competition. 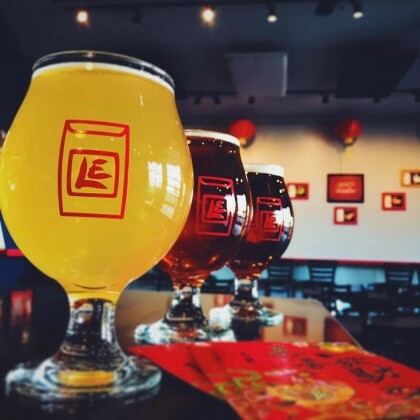 How it works: from Monday, April 16 to Friday, May 11 the Café will feature one beer on tap from each of the following Ballard breweries: Stoup Brewing, Reuben’s Brews, Lucky Envelope Brewing and Maritime Pacific Brewing. Each purchase of one of these beers (any size on our menu) counts as one vote for that brewery. On Monday, May 14 we’ll announce the winner and along with bragging rights, they’ll receive a dedicated tap in the Café for one year! Share your Ballard beer photos with us on our Facebook, Instagram and Twitter by tagging #BallardBeerAwards. Cheers! !